Instagram has introduced a new feature called "Instagram Direct" where you can send photo and video messages privately to group of friends or just a special someone, and not to all followers. I ❤ this update! 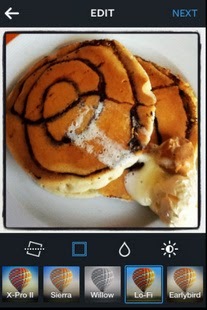 Instagram app update is now available for iOS and Android devices and still in beta for Windows Phone. 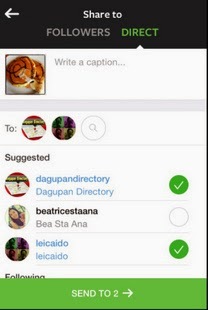 In the top right corner on your Instagram home feed, you will see a new icon. 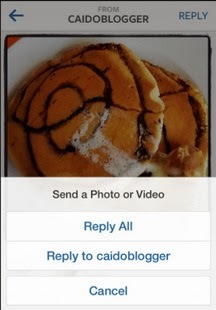 To access Instagram Direct, just tap that "inbox" icon to see photos and videos that was sent directly to you. After editing your photos or videos to be sent, choose Direct instead of Followers. 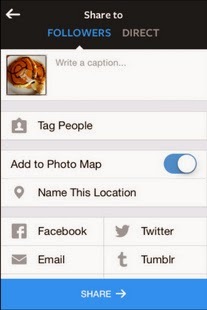 Then choose the people you want to share your photos or videos with. 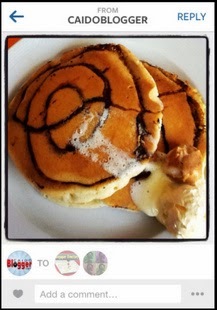 When you receive an Instagram direct photo, you can also reply directly with another photo or video. 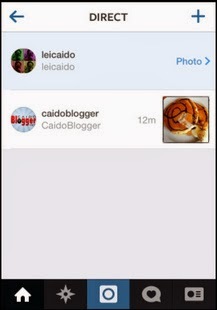 Follow us on Instagram @caidoblogger.